One of the best things about being in Greece during the summer is the freedom of hopping from one fabulous island to another fabulous island, and with ferries, big and small, operating daily, you can easily hop on to spend a day or two on another island. 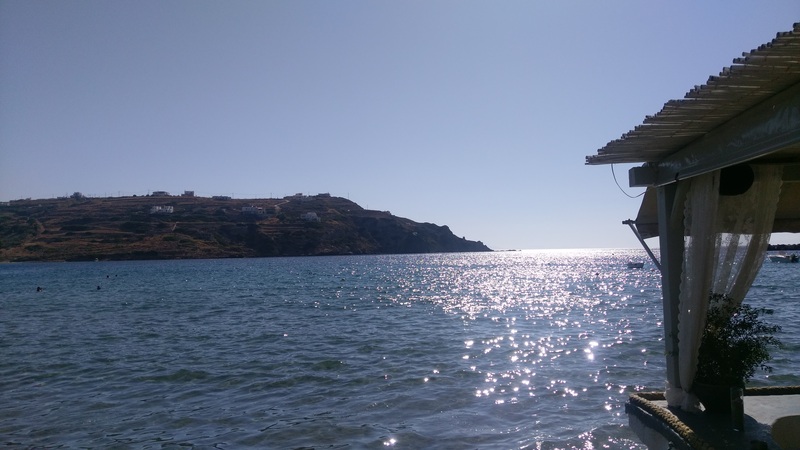 One of the lesser-known islands in Greece is Syros, with mostly savvy Greek holidaymakers populating its shores, which makes it more authentic if you are looking to stay away from tourist traps and are wanting to mix with the locals. Boasting a number of beaches, you will find it difficult to stumble upon an over-crowded spot, letting you lay your beach towel almost anywhere you like without feeling like you are squeezing yourself between complete strangers. 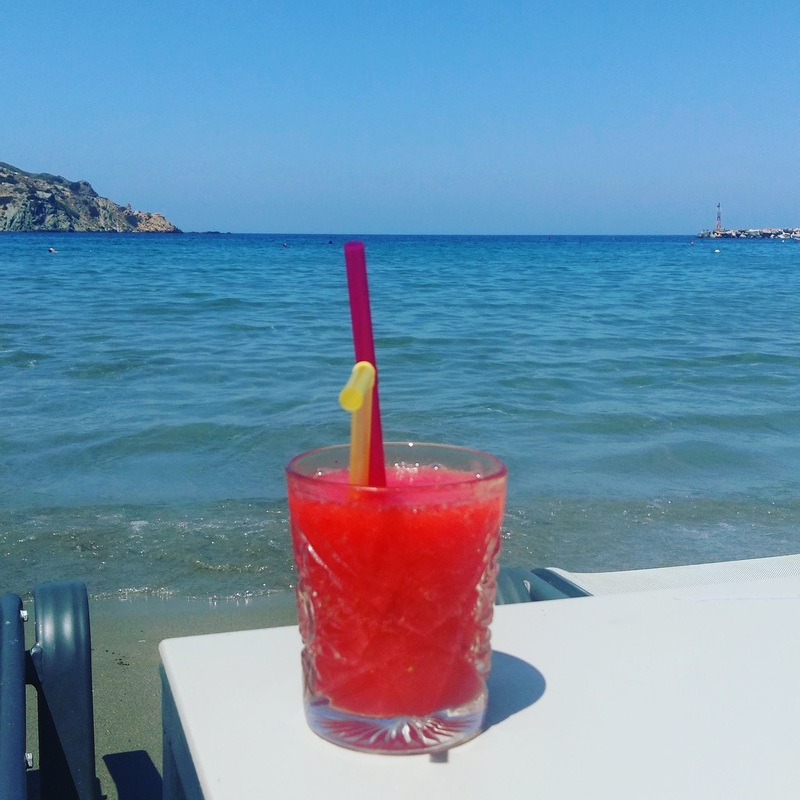 One of the nicest beaches to visit while in Syros is Kini, with its clear waters and the sun shining down on you, you will without a doubt find it difficult to return to your normal day-to-day life. And with most beaches here, there are bars set up for your drinking pleasure with friendly staff bringing you your favourite cocktails. 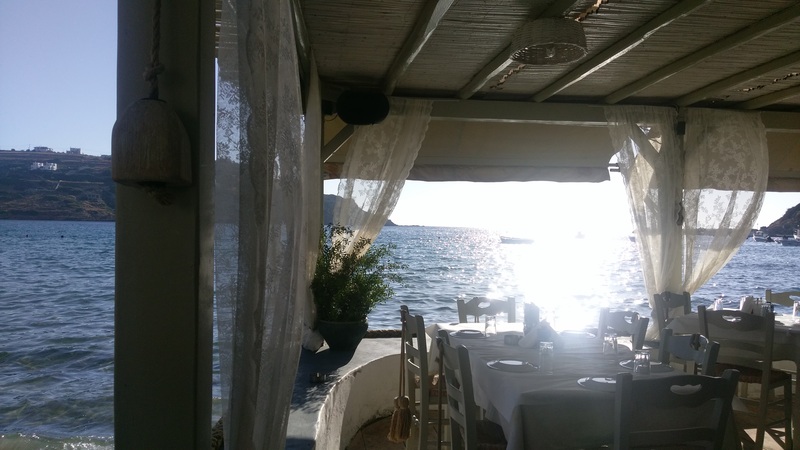 A highlight of Kini, besides being in a Greek paradise is Allou Yialou, a Greek restaurant overlooking the water. Serving contemporary Greek cuisine, the dishes are very generous and the Sangria here is surprisingly one of the best, making it the perfect spot to dine after a day spent sunbathing. And complementing your delicious dinner, and sealing your idyllic day, is the incomparable view of the sunsetting over the water.